An electromagnetic lock is basically an electromagnet mounted in an enclosure on the frame head, with a steel armature mounted on the door. When the door is closed and the magnet is energized, the magnet bonds to the steel armature and locks the door. In order to allow access or egress, the magnet must be de-energized. Prior to the 2009 edition of the International Building Code, the section called “Access-Controlled Egress Doors” was typically applied to doors with mag-locks. This section allows the use of mag-locks on doors in certain occupancies, and requires the mag-locks to be released by a motion sensor, emergency push-button, power failure, and activation of the fire alarm or sprinkler system. The 2009 edition includes an additional section, called “Electromagnetically Locked Egress Doors” (1008.1.9.8), which can also be used for doors with mag-locks, depending on the type of release device that is desired. Either set of requirements can be used going forward, depending on the application. The new section applies to doors with mag-locks that are released by door-mounted hardware, such as a lockset or panic hardware with a request-to-exit (RX) switch. There was some confusion about the language in the 2009 IBC, because the proposed language was modified by the technical committee to limit the use of mag-locks to doors that didn’t require panic hardware. I spoke to one of the engineers at the ICC about whether the intention was to prevent the use of mag-locks on doors with panic hardware, and I have since received the revised language for the 2012 edition of the IBC. The phrase regarding panic hardware has been removed from the 2012 edition and a clarification added (#5), so this section would be applicable to doors that require panic hardware as long as the switch in the panic device releases the mag-lock. 1. The listed hardware that is affixed to the door leaf has an obvious method of operation that is readily operated under all lighting conditions. 2. The listed hardware is capable of being operated with one hand. 3. Operation of the listed hardware directly interrupts releases the power to the electromagnetic lock and unlocks the door immediately. 4. Loss of power to the listed hardware automatically unlocks the door. 5. Where panic or fire exit hardware is required by 1008.1.10, operation of the listed panic or fire exit hardware also releases the electromagnetic lock. a) It’s unclear how the use of a panic device to release a mag-lock is affected by UL 305 (the UL standard for panic hardware). b) Not all RX switches will meet item #4, although judging from the IBC Commentary, this type of product would be acceptable in this application. Perhaps the requirement to unlock upon power failure should pertain to the mag-lock itself, rather than the door-mounted release device. c) Section 1008.1.10 still says that doors in certain occupancy types /occupant loads shall not be equipped with a lock or latch unless it’s panic hardware. Technically this should have been changed to reflect the use of a mag-lock released by a panic device. d) I-2 occupancies were added to the Access-Controlled Egress Door section as an acceptable occupancy type, but they were not added to the Electromagnetically Locked Egress Door section. This seems like an oversight. e) I was wondering how the AHJs would feel about the lack of a fire alarm release, so I checked with a handful and most of them were comfortable with it, especially since NFPA 101 contains very similar language. If your jurisdiction is using NFPA 101 – The Life Safety Code, a new section was added in the 2009 edition called Electrically Controlled Egress Door Assemblies (7.2.1.5.5). The requirements are basically the same as the new section of the IBC, but without the mention of panic hardware or the limitations on occupancy type. Keep in mind that state or local requirements could differ from those of the IBC or NFPA 101, so it’s important to be aware of the codes in your project’s jurisdiction. Refer to the published codes for the detailed code requirements, and consult the Authority Having Jurisdiction for more information about the local codes. This post was originally published on November 23rd, 2010, and was updated in February 2012 and printed in the March 2012 issue of Doors and Hardware. Since section 7.2.1.5.6 of the 2012 LSC does not specifically exclude the fire alarm interface for these types of electrically locked doors, then the mag-locks must comply, and be connected to the fire alarm system. So, for those occupancies (such as hospitals) that are required to comply with the LSC, they still have to interface the mag-locks to the fire alarm system. The question I have: Does the IBC require compliance with NFPA 72? if so, then the IBC would also require the electrically locked doors to be interfaced with the fire alarm system. 21.9.1 Any device or system intended to electrically lock a required means of egress door in the direction of egress shall be connected to the fire alarm system serving the protected premises. I spoke to someone at NFPA to find out whether the electromagnetically locked egress doors would need to meet NFPA 72 and I was told that NO, they would not. They said that the doors are not considered locked in the direction of egress, and that the IBC does not state that the doors have to meet NFPA 72 for unlocking. I was also told by NFPA that this section is being removed from NFPA 72 in the next edition because the requirements are addressed in the means of egress codes and NFPA 72 was redundant. I would prefer that the mag-locks unlock upon fire alarm, but with NFPA stating that it’s not required (especially if the requirement is removed from NFPA 72), I don’t have any back-up on this. If you can get me anything official, it would be very helpful to be able to clear this up for hospitals who will soon be using the 2012 LSC. Does this mean that a motion and a push button are no longer acceptable? It means that jurisdictions that have adopted the 2009 IBC or 101 now have 2 choices. Either the combination of a motion sensor, push button, fire alarm release, and power failure unlock, OR the combination of door-mounted release device (RX in hardware), and unlock upon loss of power to the RX. Please someone, help! My head is swimming (I hate hardware). I have two egress doors within a tenant space that we want to control access with a card reader (mag lock). Do we have to use panic hardware?? The space has an occupant load of less than 50, we will have a push to exit button on the egress side. Are there exceptions to special security areas that have mag locks? Cash count rooms in banks, retail, casino, museums, that have valuables. I’ve seen some exceptions in local codes, but not in the International Building Code or NFPA 101. I’ve worked on several museums and data centers, and in all cases we were required to apply for a variance to allow us to use interlocks for security, or delayed egress devices on the museums (not allowed by the IBC for Assembly occupancies without a variance). I would recommend checking your state code to see if there is a modification, but it’s not common. So I’ve run into a similar situation at a church that is tired of dogging all of its main entrance doors open for church services and someone proposed magnetic locks (no card readers) – yet I am wondering how the codes apply to this. Its in California, Livermore if that helps. I would use QELs. You may not need them on all of the doors – just the ones used to enter. Hello Lori, thank you for posting all this good information. My question is we have older egress exit doors with mag locks that are only tied into a fire alarm system to release. Do all these doors have to be retro-fitted or replaced to comply with current IBC, NFPA or AHJ codes? I would think they are not grandfathered and need to comply. Depending on your application, these doors may not have been code-compliant from the beginning, so it’s probably not a case of being grandfathered. If you can tell me more about where these doors are located, I will try to help you figure that out. i am a concerned senior. at an ohio township building, we have a room set aside for seniors’ gatherings, capacity about 30 or 35. in addition to the entrance door, the door at the opposite end of the room entrance is marked as an emergency exit and is equipped with a panic bar which is dogged open. this door opens into an office area. in addition to the panic bar, the door has a card reader access into that office area and is locked with magnetic lock. is this an acceptable setup? Thanks for getting in touch. It’s hard to know for sure without seeing the room, but here are a couple of things to consider. 1) If the room really only has a capacity of 30 or 35 people, then it probably only requires one exit – typically the main entrance. The occupant load of the room is determined by taking the area and dividing by an occupant load factor. The factor depends on the use of the building and the room. If the second exit is not a required means of egress, it may not be required to meet the egress requirements. 2) If the second exit door has a lit exit sign above it (not an “emergency exit” sticker on the door), it probably is a required exit. If the second door is a required means of egress, then it needs to allow free egress. An exception to that would be if the mag-lock is a delayed egress mag-lock, which would unlock after 15 seconds if someone tried to exit without using their card. 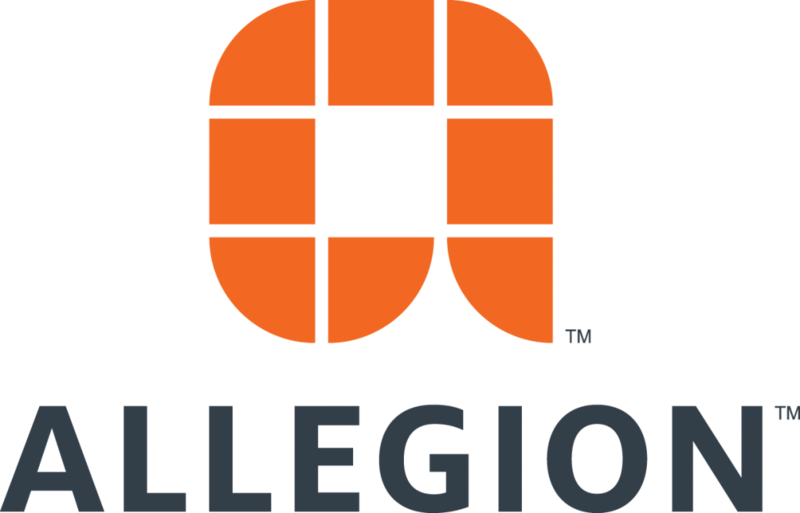 If you want to send me some photos (lori.greene@allegion.com), I can take a look, or you can ask your local fire marshal for advice. spoke to someone that works in the office (on the other side of the door) today… asked him about the exit, explaining the situation and he suggested that he would have to have the exit sign removed… it’s an actual lighted exit sign with emergency lights attached…. i don’t know who the individual was, nor his status… he told me that there were administrative offices on the other side of the door…. Let’s assume that this building is a Business occupancy and we are using the 2015 edition of the International Building Code (these may be incorrect assumptions but this gives us a starting point). 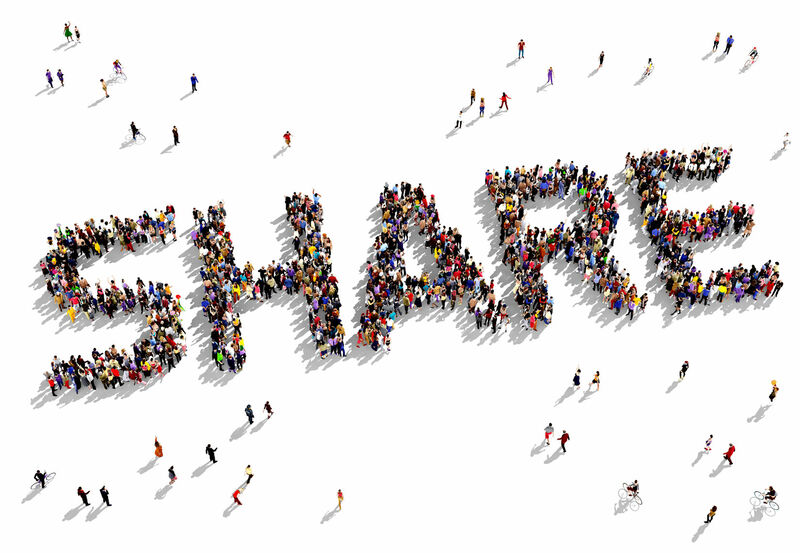 Your community room could be considered an Assembly occupancy – ie. used for people to assemble for entertainment, etc. – the IBC would call this type of room a “small assembly occupancy.” If the room has an occupant load of less than 50, or if it is less than 750 square feet in area, it is not considered an Assembly occupancy – it is considered a Business occupancy or the same occupancy type as the rest of the building. If the room is less than 750 feet in area, the second exit is probably not required. Is your room less than 750 square feet in area? I guess the only thing I would question is why the exit sign and panic hardware were there in the first place. It’s unusual for that to happen unless it’s required, but you never know – there could have been a renovation or something. Regarding the elecctromagnetic lock with the door hardware release, what happens if the switch in the panic device does not release the mag-lock? I know there are other built in redundancies such as unlocking upon loss of power, but what about under normal conditions? The panic hardware won’t function as it normally does b/c of the force of the magnet, correct? If the switch in the door hardware doesn’t release the mag-lock the building occupant would not be able to exit through that door, but the code requires the mag-lock to unlock upon loss of power to the switch which provides some protection if the switch fails. A push button could be added to the system as an extra release, but it is not required by the model codes. can any one clarify that these hardwares can be installed on roof access fire rated doors. In case of emergency the mag lock gets deactivated and the roof can be accessed by the students if needed and otherwise the door will be locked. This will be dependent on the local code and the Authority Having Jurisdiction. Access to the roof is not typically required for emergency egress. We have an office building in NYC, used for desktop services. Our main exit into the hallway (not a stairwell) is controlled by a Mag-lock door. We use badges to enter, and a motion sensor to exit. We also have a button adjacent to the door for emergency exit. The issue is that the position of the front desk continues to trigger the motion sensor, causing the door to unlock almost constantly. We are unable to adjust the position of the desk as well as the motion sensor. Therefore, we’d like to remove the motion sensor and only use the exit button to unlock the door. Is this acceptable under current codes, only using the exit button? The mag-lock unlocks during power failure, but I think it remains locked during a fire alarm. The section of the codes that allows the sensor release also requires the mag-lock to release upon actuation of the push button, the fire alarm/sprinkler system, and power failure. All 4 of these requirements must be met so removing the sensor is not acceptable unless the code official allows a code modification. But you could switch to the type of system covered by the section of the code that addresses mag-locks released by door-mounted hardware. That would involve removing the sensor and adding door-mounted hardware that contains a switch to unlock the mag-lock. Technically you wouldn’t need the push button or fire alarm/sprinkler release if you change to a door-mounted release device, but it’s fine to leave those functions if you’d like. In the NYC Building Code (https://www1.nyc.gov/assets/buildings/apps/pdf_viewer/viewer.html?file=2014CC_BC_Chapte_10_Means_of_Egress.pdf&section=conscode_2014), the applicable section is 1008.1.9.8.